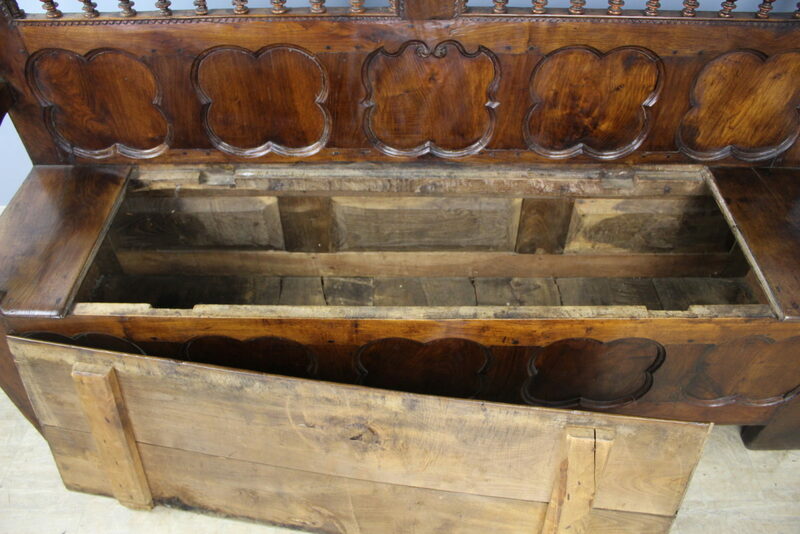 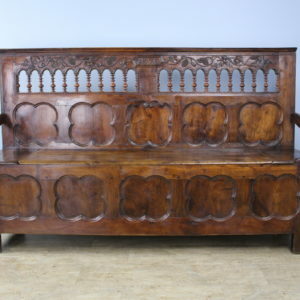 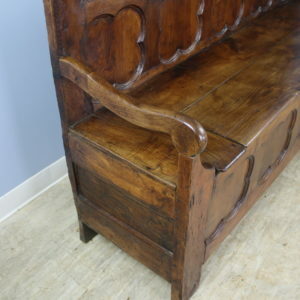 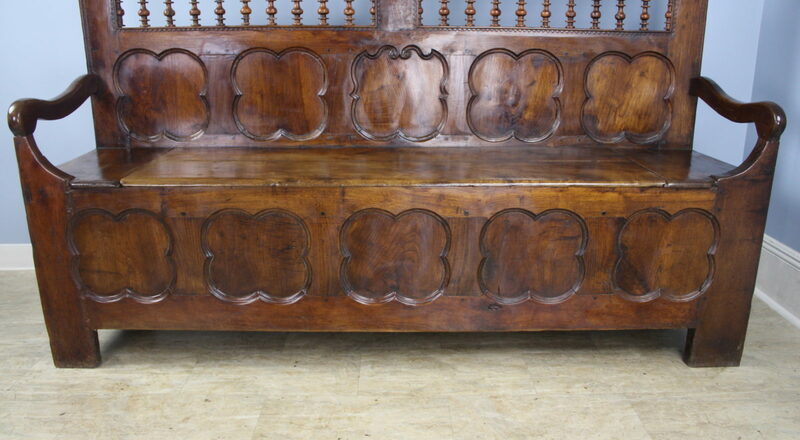 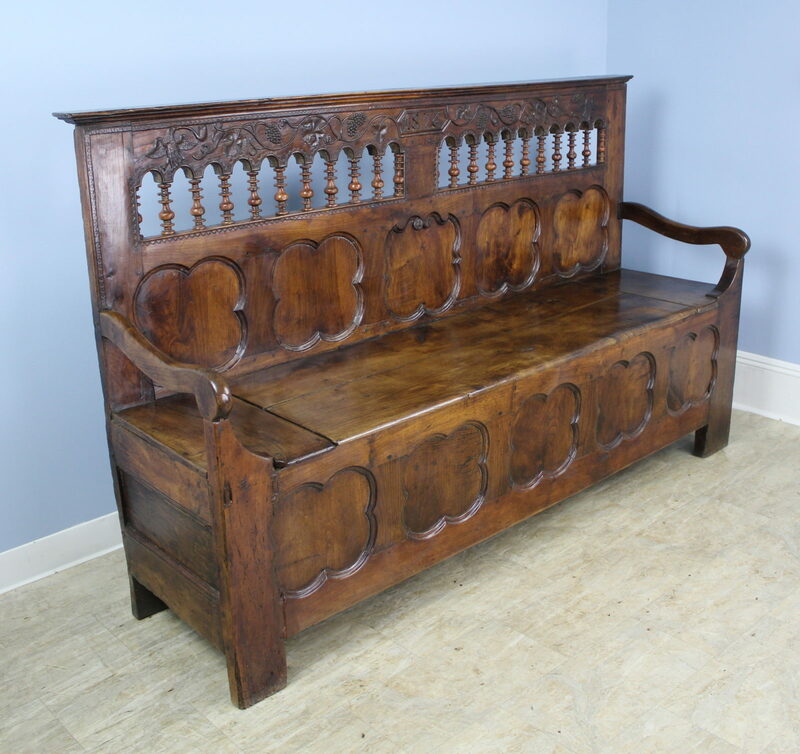 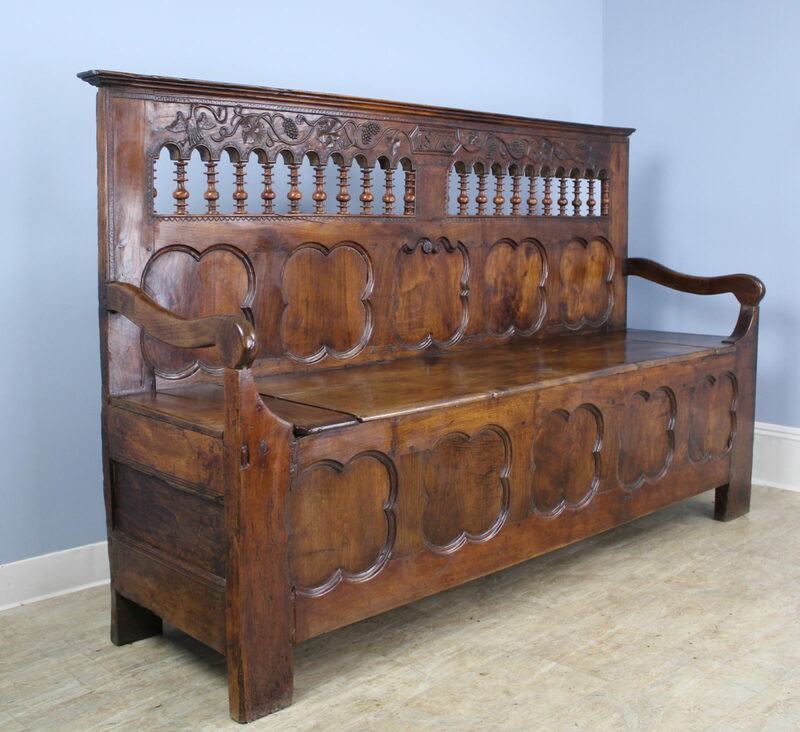 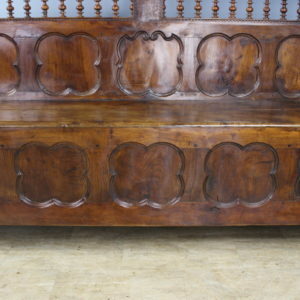 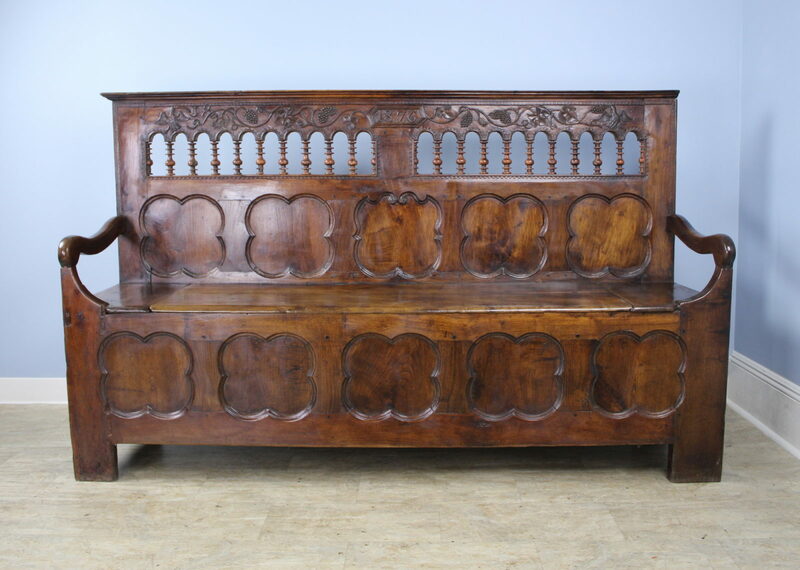 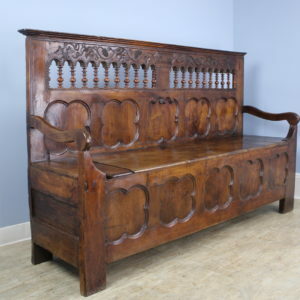 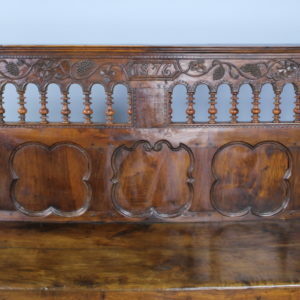 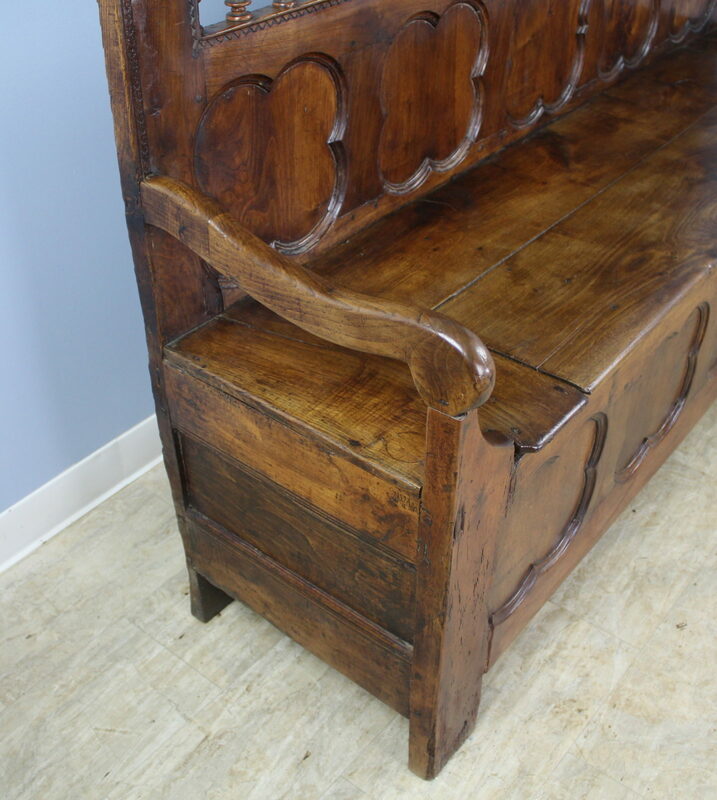 A fabulous ornately carved walnut bench from Coastal France. 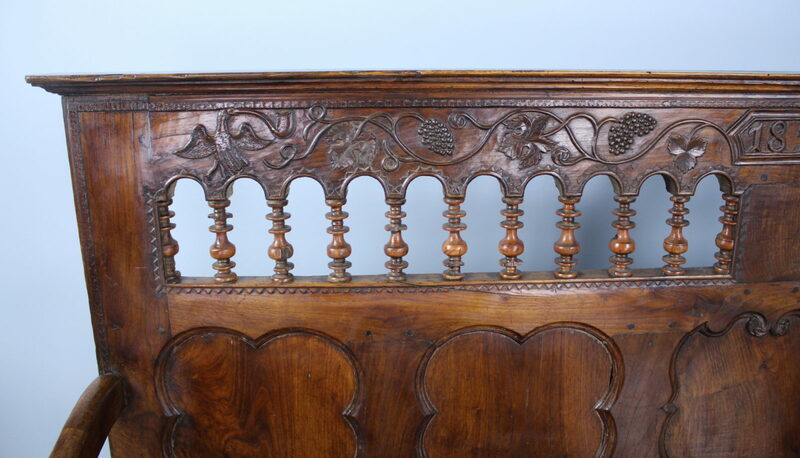 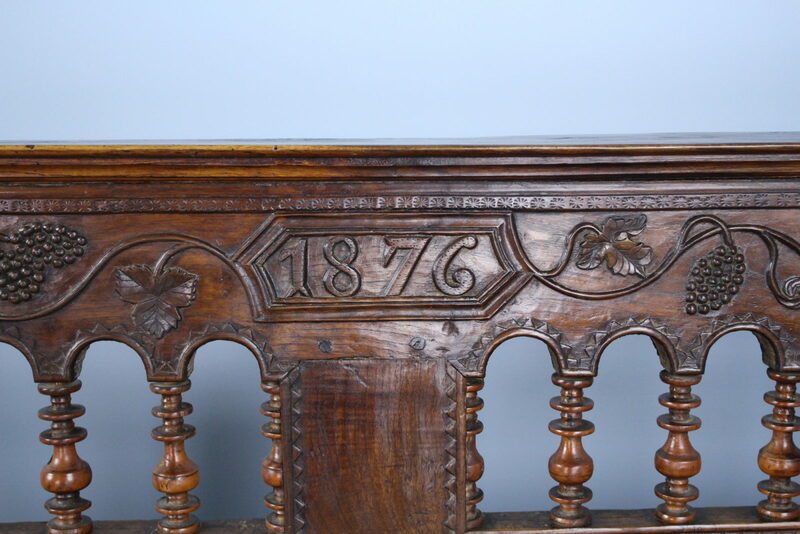 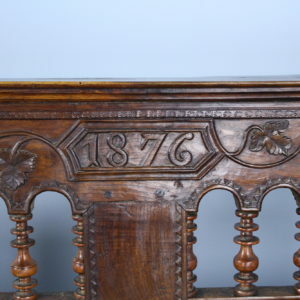 Charming spindles under a panel of hand carved birds, leaves and grapes, with the date front and centre. 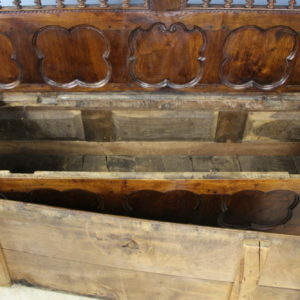 The seat lifts up (not hinged) to reveal a large storage area. 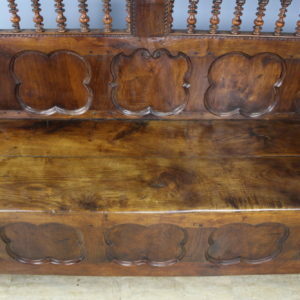 The repeating clover shaped panels on the back at front add another interesting component. 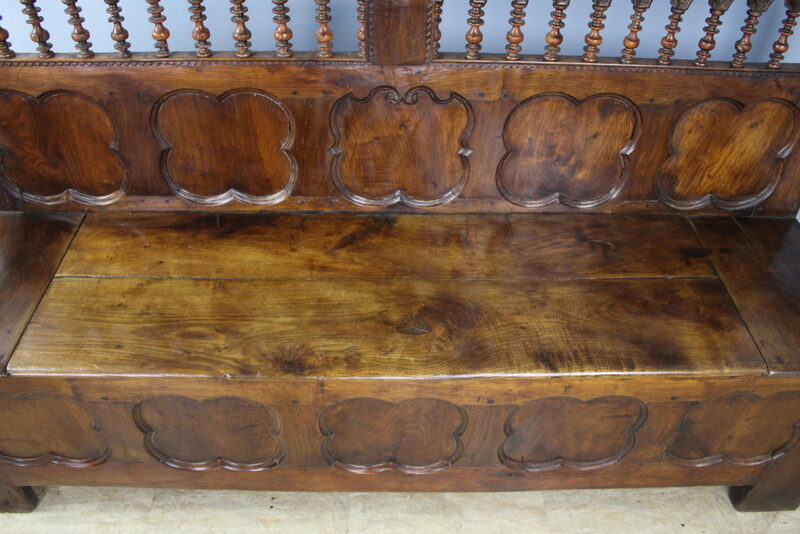 The color and grain of the walnut on this piece are as pretty as we have seen. 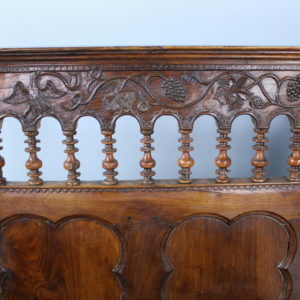 Graceful curved arms.